Confirmed Deal: Chelsea Partway With Jeremie Boga. 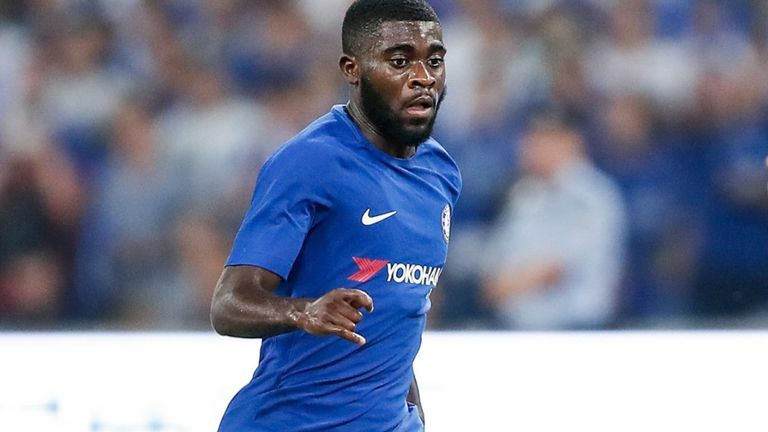 2016-17 Premier League Champions Chelsea have confirmed the departure of their youngster Jeremie Boga via their official website this morning. The Blues via their site, congratulated the youngster for his successful switch to Serie A side Sassuolo. The 21-year-old made a single appearance for the club’s senior squad in all competitions throughout his stay with the Stamford Bridge outfits. However, he played a huge role in helping the Blues lift Two FA Youth Cups, a UEFA Youth League trophy and the Under-21 Premier League competition. Prior to his permanent move to the Serie A club, Boga was sent on numerous loan to different clubs including Spanish side Granada, Championship side Birmingham City and Ligue 1 club Rennes. The Serie A side are known for their trust in young players and they will surely help the midfielder develop his game in the coming season. In other Chelsea news, Arsenal boss Unai Emery has debunked the rumours linking him with a move for Chelsea star players Eden Hazard and Willian. The former PSG manager admits the fact that both players are awesome and lively but he is not interested in luring any of them to the Emirates stadium as his attackers are good enough to cause havoc to any defence in the League next Season.